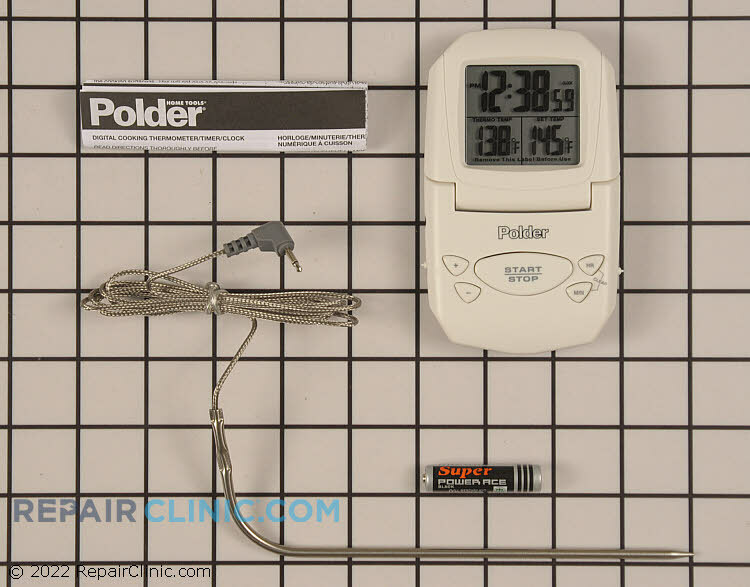 Polder 3 function thermometer: large LCD read out displays the temperature of food during cooking. Presettable HI/LOW and inside the range temperature alert. Timer: 24 hour count down and count-up. Clock: Real-time clock. Stainless steel probe. Temperature chart and battery included.